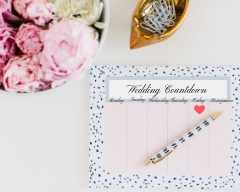 Wedding season is just around the corner, which means that brides all over the country are in the thick of wedding planning. We get calls and emails every day with questions about SimuLinen’s disposable dinner napkins. 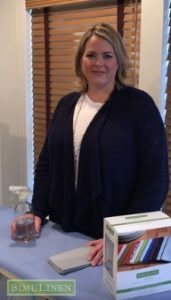 One of the most surprising questions we got a couple of years ago has become one of our most popular questions… “Can SimuLinen napkins be ironed?” At first I was surprised, why would anyone want to iron disposable dinner napkins? They come perfectly folded, in a nice box, ready to be put straight on the table. 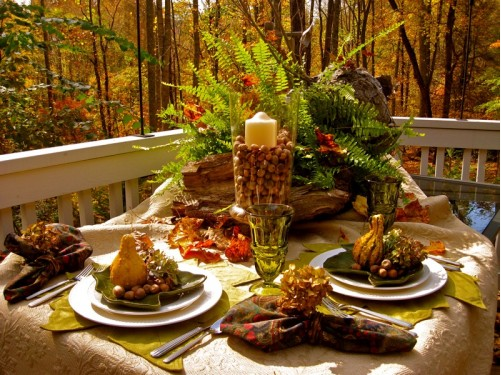 However, table-scapes have become hugely popular, especially for formal parties and weddings. 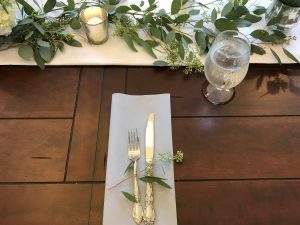 We have discovered that there are many times that the napkins’ creases interfere with special napkin folds brides wanted for their table-scapes. Surprisingly, you can iron SimuLinen’s Disposable Dinner Napkins in a few simple steps. I also started taking more pictures of our napkins and realized how versatile they are, especially without the fold creases so I tried ironing them. 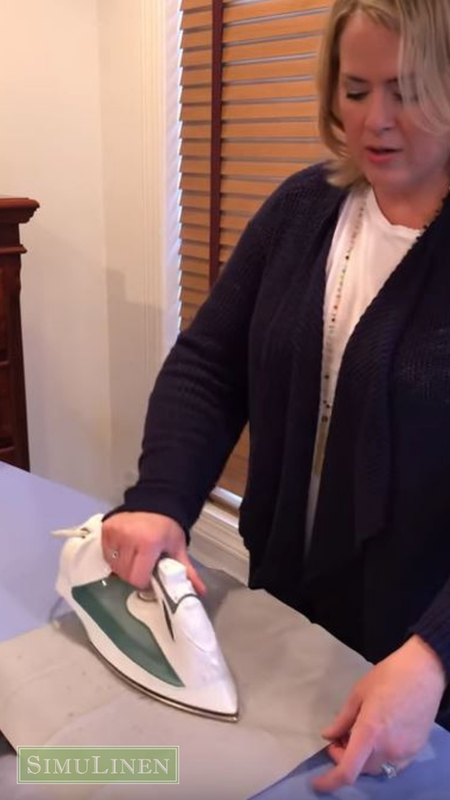 Since our napkins are not a typical disposable paper napkin, they are perfect for ironing. I iron them just like I would a cotton dress shirt. Lightly spray the napkin with clean water to help get the creases out. I set my iron temperature to high and I spray my napkin with water, focusing on the creases, to make sure the iron will get the crease out. The most important thing is to make sure that the iron doesn’t stay in one spot too long; as with the cotton dress shirt, leaving the iron in one place too long will cause the napkin to burn. Set the heat on high but keep the iron moving. You can always watch the video to see how I iron solid-colored dinner napkins. When I iron napkins with printed designs I do it a little differently as the ink hasn’t saturated the whole napkin, it is just printed on one side. I always put an old, white pillowcase down on the ironing board and put the printed side of the napkin face down on the pillowcase. This way if there is any color bleeding it will not mess up your ironing board or your iron. You’re pretty shocked that you can iron SimuLinen’s disposable dinner napkins, aren’t you? Let us know if you’ve tried it and why you needed it ironed. We are always looking for new, fun folds! After years and years of being the bridesmaid, my turn finally came 4 years ago. By the time I got engaged I had probably attended over 50 weddings as an adult guest and I can’t even remember how many weddings I’d actually been in. All those years of hoping and longing for the day it would be my turn weren’t lost as I took lots of great notes about what I did and did not like about different weddings. I kept programs, menus, and favors. I took pictures of table settings and dresses, centerpieces and flowers. I knew that one day, when I finally got married I’d know exactly how I wanted my wedding to be. On thing I love to do is save money. In fact, my two favorite words are “sale” and “clearance” so when we got engaged, I looked for all kinds of ways to save money. We designed our own wedding programs and used a website to create our save the date cards and invitations. Of course, I’ve always Googled coupons for any site where I am considering ordering something. We had a short engagement! Here in New Jersey the typical engagement is over a year long. Being a Southern girl who was, ahem, a few years older than the typical bride, I wasn’t interested in waiting another year to become Jackson’s Mrs. Our engagement was only four months and four days long. This meant we had to find good deals and make decisions quickly. We didn’t have time to keep adding on more and more things to our wedding. We got married on a Friday. Listen, I’m the first one to get annoyed by a Friday wedding. It means that I must take at least half a day off work, if it’s a local wedding. However, this was the biggest, most memorable day of my life and I needed to make sure it was good for Jackson and me. Turned out, with our venue, getting married on a Friday was about 20% cheaper per person less than getting married on a Saturday. Also, since our engagement was short, they had one Friday open in the time-frame we wanted, and they wanted to fill it. They told us if we took that date we’d get another 15% off. We bought our candle stick centerpieces and then sold them after the wedding. I had a 3.5 hour daily commute for work, so I spent my whole commute each day searching the internet for all the things I could buy online. 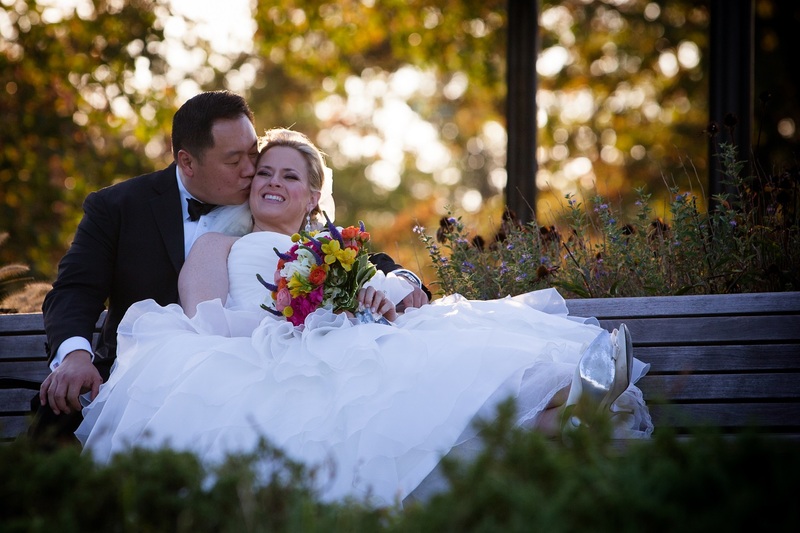 We got married at a venue with a view of NYC and floral centerpieces would have been way too expensive and they would have been over-kill for that room. With all the lights of the city flickering we decided that adding candles to our tables would be the prettiest. Of course, the elegant, three-tiered, glass, floating-candle sticks cost $75 per table to rent but I found them online to purchase for $30 per table! After the wedding we sold them all and made our money back. We used SimuLinen Disposable Dinner Napkins! I know what you’re thinking… disposable dinner napkins do not go with a venue overlooking NYC, and elegant glass candlestick centerpieces. This is probably the most shocking thing you’ll discover. Cloth napkins at venues, or provided by caterers, are NOT nice napkins. Their napkins are typically cheap polyester that do not absorb a thing and are rough to the touch. Add to their lack of elegance, the price for renting these cloth napkins can break the bank! On the contrary, SimuLinen’s Signature Colored Dinner Napkins are thick, durable, absorbent and far softer on your mouth. They also come in 21 different colors so there will definitely be one to match your color scheme, AND they are quite reasonably priced. 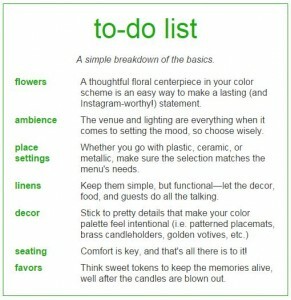 What I learned from my wedding planning days was that the best ways to save money came from thinking outside the box (purchasing glass candlesticks I could later sell). I didn’t settle for what was expected (Friday night wedding) and I dared to venture away from the norm (disposable dinner napkins). To this day friends still tell us ours was one of the most beautiful and fun weddings they’ve ever attended. 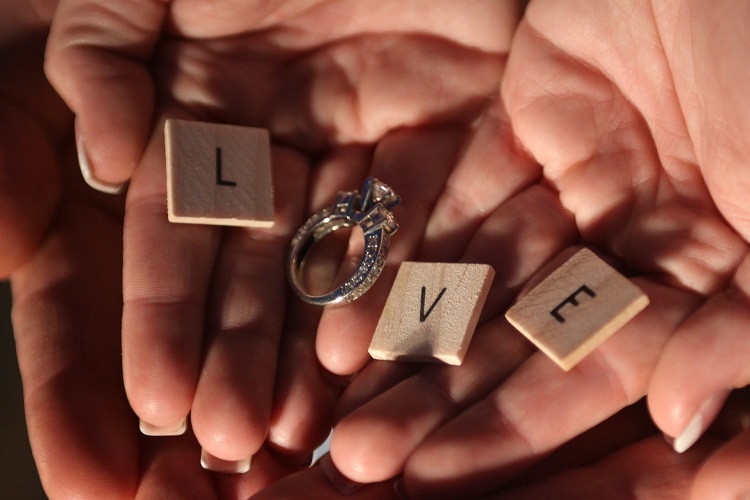 What are ways you’ve saved money for your wedding? Share in the comments so others can use your ideas! The holidays are here and parties are in full swing, but it’s never too late to have a quick refresher of party etiquette. We all want to be gracious guests, but sometimes it’s hard to remember how to handle certain situations. First and foremost, always RSVP. 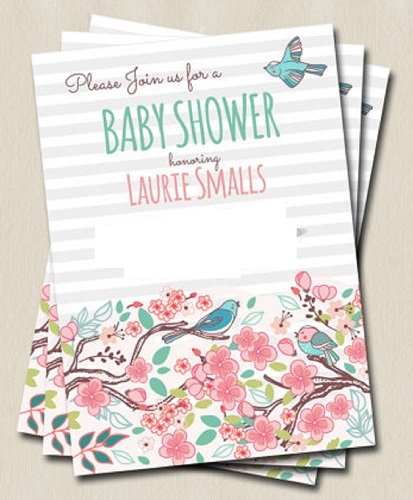 To be a gracious guest, it is important to RSVP for the party within one week of the invitation. Remember, only reply for the guests on the invitation; it is impolite to include other not directly invited by the hosts. 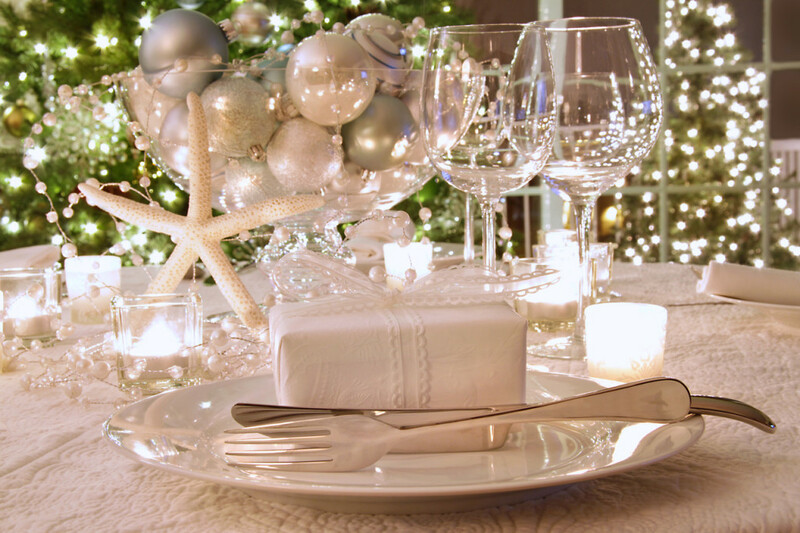 They are not required, but if you choose to give the hosts a gift, the best options are consumable, such as chocolates, wines or lovely guest towels or napkins. Make sure to add a personal note with the gift. Talk to people you don’t know. Compliments are great ways to start conversations. Everyone appreciates a compliment and they tend to set people at east. Avoid grinches, gossips and gross-mannered people and their conversations. When you’re approached by an unpleasant person or someone wanting to have a less than merry conversation, it is best to avoid them. Be polite but find a way to excuse yourself. Parties can quickly become less than festive when inappropriate conversations are had. Many schedules make it difficult to stay the length of a party and it is often quite tempting to just slip out unnoticed but be sure to always say goodbye to the hosts. This is the most polite way to leave, but it will also prevent everyone from wondering where you are. It is not necessary to make your way around the room and say goodbye to everyone, but please make sure to tell your hosts. Remember to follow up with a hand written thank you note after the party. This does not need to be lengthy, three lines is sufficient, but please, do not send an email as it is quite dismissive and impersonal. Have fun and enjoy the merriment of this season! Thanksgiving is wonderful for so many reasons: joyful time with family and friends, great food, fun shopping with great deals. The most wonderful and important part of Thanksgiving is just that, giving thanks. We all have so much to be thankful for, and sometimes we are so busy we forget to ponder the blessings that have been bestowed upon us. During this thankful season, we pause to reflect on the blessings we experience every day and those we have had throughout the year. So, with this reflection, we want to thank YOU. Thank you for appreciating the SimuLinen difference and choosing SimuLinen over other brands. Thank you for continuing to help share our product with your friends and family. And thank you for your support throughout the year. The SimuLinen Team wishes you and yours a wonderful Thanksgiving season. May you, too, have a moment to reflect on the blessings of the year. I don’t know about you, but every single time I have people over for dinner I call my mom and ask her how much I should make of each dish. I’m from a very large family so I’m used to cooking for several people, so somehow hosting a smaller number of people makes it even harder for me to figure out how much to make. Knowing how much too serve at Thanksgiving stresses me out even more because being a Southern girl I learned that food is one of the love languages so we definitely cannot run out of food for Thanksgiving. That would be like running out of love! The problem with a Southern girl hosting Thanksgiving is that we tent to have so much “love” that we eat left overs for weeks, until my husband tells me he never wants to eat it again. 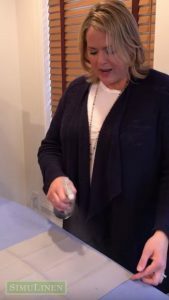 Imagine the stress I have thinking about Thanksgiving this year as it will be the first Thanksgiving for me to host my husband’s family at our home. As much as I adore my in-laws, I still feel pressure to make it the best Thanksgiving they’ve ever celebrated. Even with the pressure I’m quite excited, and this year I’m determined we won’t be eating left overs in some variation until Christmas. Thanks to this chart I saw from Whole Foods I knew this might actually be the year we won’t have a freezer full of turkey and stuffing begging to be eaten. I hope that you find this chart below useful, too. May you always know how much to serve at Thanksgiving and may you only have the leftovers you want to have! 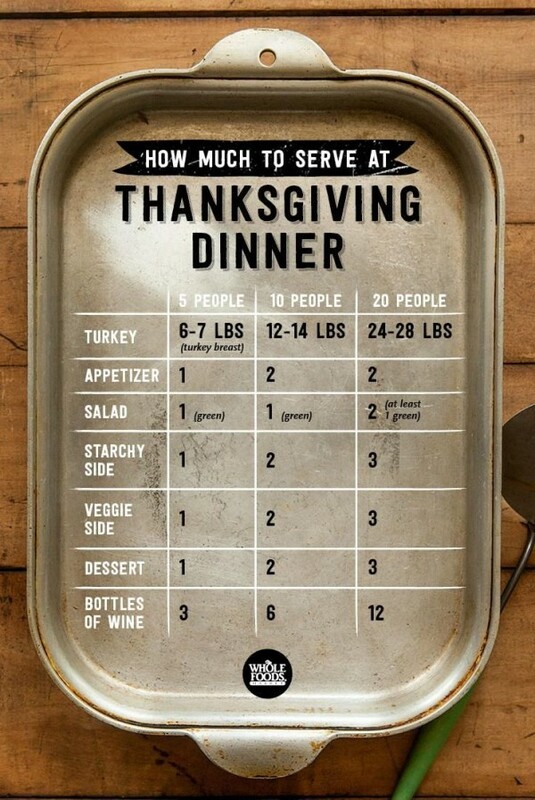 Cheat sheet for how much to serve for your Thanksgiving Dinner. This just might be the year we don’t eat leftovers for weeks! SimuLinen’s Seasonal Napkins on Sale! Here at SimuLinen we are loving this fall weather and all the changes this season brings. With this new weather we need to make space for the new napkins. Lucky you! All of our Seasonal Napkins are on sale for $12. This is a great deal as they retail for $20 per pack. Hurry and get yours because supplies are limited. All of SimuLinen’s seasonal napkins on sale, hurry and get yours, the supplies are limited! Just in time for fall gatherings around the table, SimuLinen is proud to introduce our new line, the Sovie Horeca Collection. We are excited about all of our new Sovie products, but here are two that we just can’t wait for you to see! The Amadeus and the Cascade napkins will be the perfect touches for the autumnal cuisine and table settings. As with all of SimuLinen’s products, our Sovie Collection is disposable. But don’t delay, we have a limited supply so hurry and get yours today! 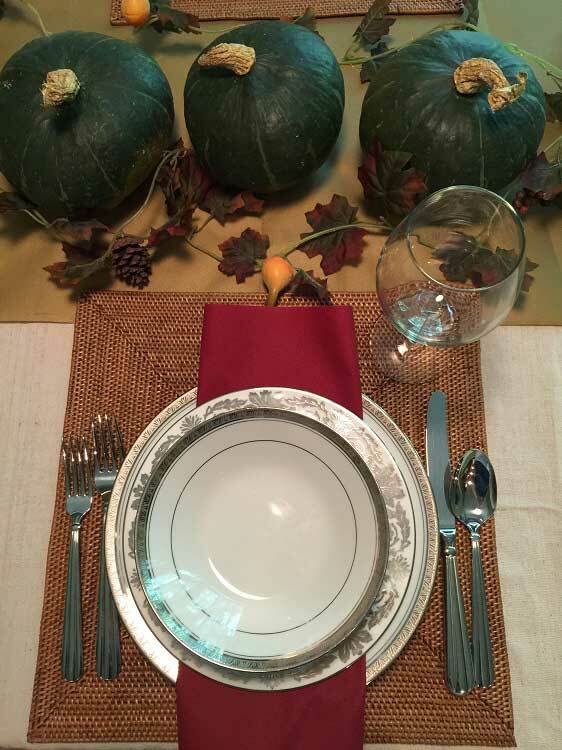 SimuLinen’s Sovie Horeca Amadeus disposable napkins, perfect for fall entertaining. 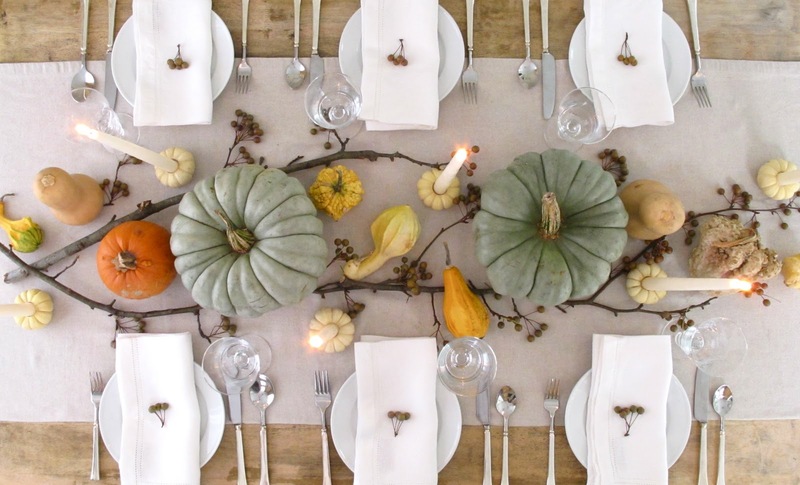 Make Fall Entertaining Easier with Flat-Pack Napkins! Wow, have you felt the cool in the air and smelled the crisp hints of fall? We sure have up here and I’m loving it! I keep thinking about all the fun fall activities I can get myself into. We are going apple picking on Saturday and will carve pumpkins on Sunday. Next weekend I’ve decided we have to have people over so I can decorate the table all fancy like I have been seeing in all the magazines. I just love the fall! As I was browsing through the magazines and searching Pinterest for all the fall decorating tips I started wondering why I don’t decorate for the seasons. I realized two of the biggest reasons I don’t are 1) money – I don’t want to spend money on things I will only use for a few weeks; 2) storage – I don’t want to own a bunch of seasonal things I have to find storage space for. I just don’t have enough space as it is. I love the white plates as many people have them at home already! SimuLinen’s disposable Brown Flat-Pack napkins are the perfect napkins for this setting! I’m using squash from the neighborhood market, the dishes we got from our wedding and SimuLinen’s Burgundy Flat Pack napkins. Yesterday I ran into Dollar Tree to see if I could get something for my fall table. I got that “vine” for $1 and then I went to a little market and bought those squashes (which will be dinner next week). The table cloth is just a drop cloth I bought a few months ago at Home Depot and hadn’t used yet. The Gold Runner is SimuLinen’s disposable table runner and the pretty burgundy napkins are SimuLinen’s disposable Burgundy Flat-Pack. Aren’t these leaf bowls the cutest? I thought they would be fun to have and I found a cheaper version of them in Dollar Store! 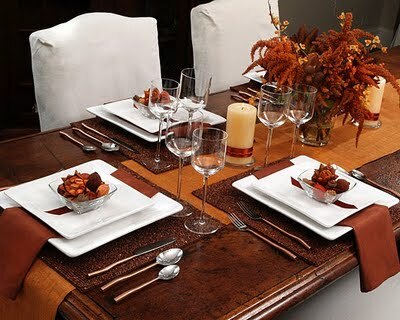 I love these brown napkins, they can be folded anyway you want and really compliment the setting. Here’s another setting I did. Again, I just used the drop cloth for the table cloth and a piece of fabric I had in my fabric closet. 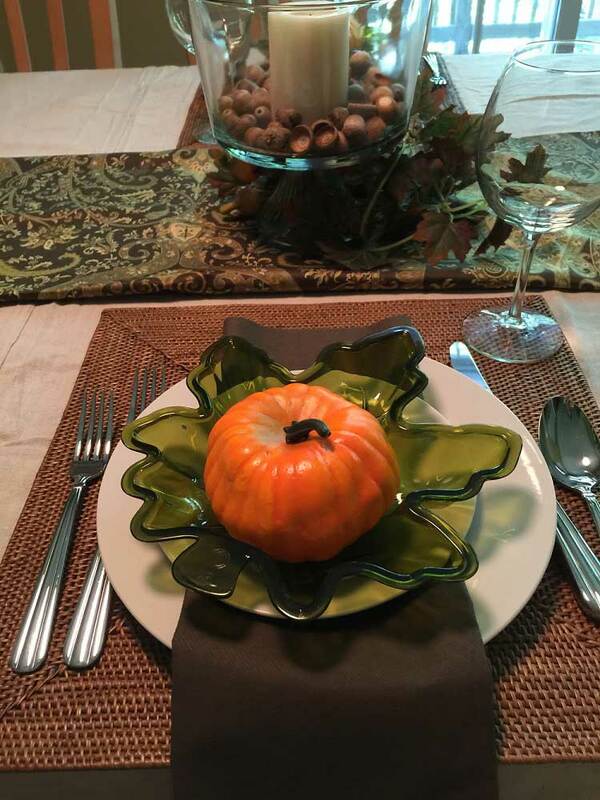 The plates were ours and all I bought for this setting was the green leaf bowl and the pumpkins – $1 each! I love these Brown Flat-Pack napkins because they are so versatile. Brown goes with so much, and I can fold the napkins anyway I want! Even better, look closely at them… they don’t look disposable at all! SimuLinen has several flat pack colors to choose from and they are all 16″x16″. They are definitely a strong go-to option as they come un-folded so you can fold them any way you like. 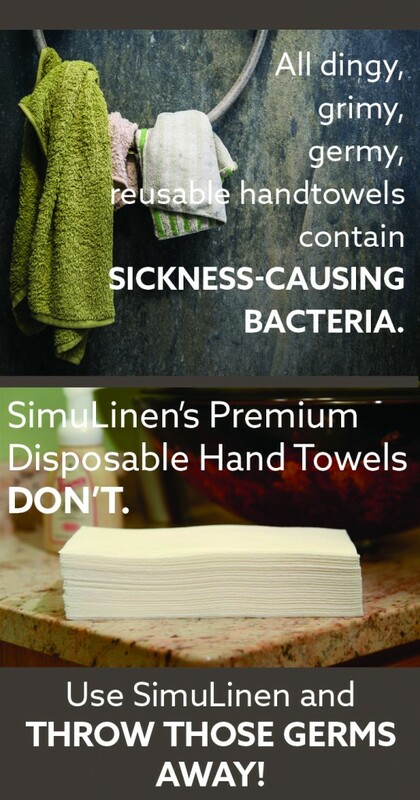 As with all the SimuLinen products, they are always disposable, super absorbent and soft! So Much More than Fancy Disposable Napkins! Have you ever seen a product and wondered how it came to be, or wondered who are the people behind the product and the brand? It’s not often that I think about that, but sometimes someone will say, “Did you know…” about a company and it ends up being a pretty cool story. Well, SimuLinen has one of those pretty cool stories, at least I think so! SimuLinen So Much More than fancy disposable napkins. We are a small, minority-owned, family business. In 2002, Jackson Min started a side business selling disposable napkins online just to help a friend establish his e-commerce website business. These napkins started selling like hotcakes. One day Jackson had a light bulb moment realized that if he actually focused on selling the napkins he could quit his day job. Jackson’s dad had a great idea (His name is Solomon, so he should have lots of good ideas!). We should put something on the napkin to make it stand out. The Single Rose was born… well, printed, I guess. It’s amazing, when people ask me where I work I say, “SimuLinen. Have you ever eaten at a sushi restaurant and seen the disposable napkins with a rose…?” Before I can even finish my sentence they finish it for me. 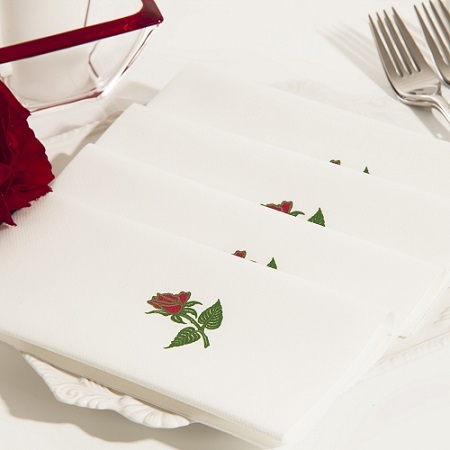 Everyone I talk to in the Northeast seems to know about our Single Rose Napkin! How fun is that? Thanks for the wisdom, Solomon! Sushi restaurants all over New York City and surrounding areas are loving the Single Rose Napkin, as are Italian and Chinese restaurants as well as many others. Jackson decided he needed to sell more types of disposable napkins so he added the Double Rose Napkin and guest towels/ bathroom hand towels, and many plain white disposable napkins. This year we’re introducing a new line of napkins that people are buying for home and catering use. All of our napkins are made of high quality airlaid paper, making them super absorbent and incredibly convenient. (OH! They are also very pretty) 🙂 These aren’t your typical grocery store napkins, either. You have to see them, you will just love them! The product line keeps growing, but Jackson makes sure to keep things efficient. The office is small and there are only a few employees. Jackson thinks this is important because with the ever-changing economy he never wants to have to have lay-offs like many companies experience. We appreciate that, Jackson! 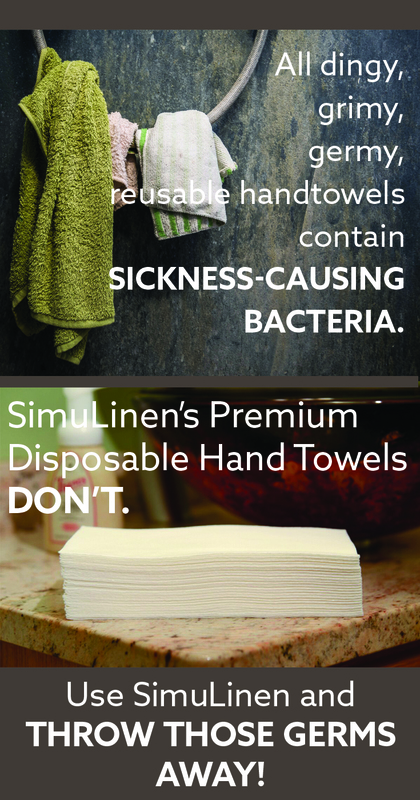 We’d love for you to try our napkins and see why all of us here at SimuLinen love our products and our company. 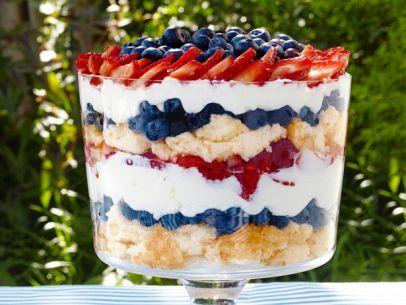 It’s Time for Summer Parties! Looking through all the decorating and lifestyle magazines, it looks like this summer could be called the “Summer of Color”. From what I can see, this summer will be bold. The brighter the better, which is fine with me! 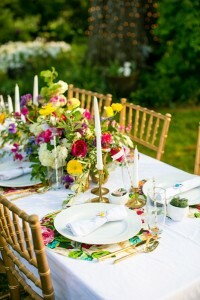 This picture makes me want to plan my first dinner party of the summer! I’m not sure how your winter was, but here in New Jersey it was brutal. Besides the bitter, frigid temperatures, it was gray and black. I don’t mean the NYC kind of gray and black that’s trendy, but the dirty, dingy, gloomy kind. So when I saw the color trends for this summer’s fun activities, winter now seems like a small price to pay for such a fun and lively season that’s upon us! My favorite article I’ve seen lately is from Domino. 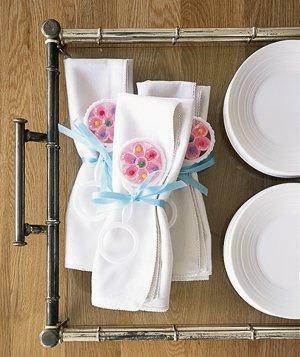 This article features bright, colorful decorations and place settings while the decorative napkins are actually plain. Who knew? I’ve had a tendency to try to dress up a table by using printed cloth napkins, but this setting is gorgeous and these decorative napkins are actually plain white and the perfect touch. This proves that napkins don’t have to be loud to make a statement. As much as I love throwing a dinner party though, I just can’t stand the clean-up. Add to that being a Southern girl at heart, until recently I’d have never considered using paper dinner napkins for a party. That was, until I saw these disposable napkins. They are elegant, yet simple. They let the decor and the food speak for themselves, and they practically clean up after themselves. When the party’s over, this will be the easiest part to clean up, no laundering needed, just toss them into the trash or compost bin! Enjoy your parties and send us some pics!